Sound occurs as a direct result of the vibration of an object and the air particles around it. Without both movement and particles, no sound can be produced. 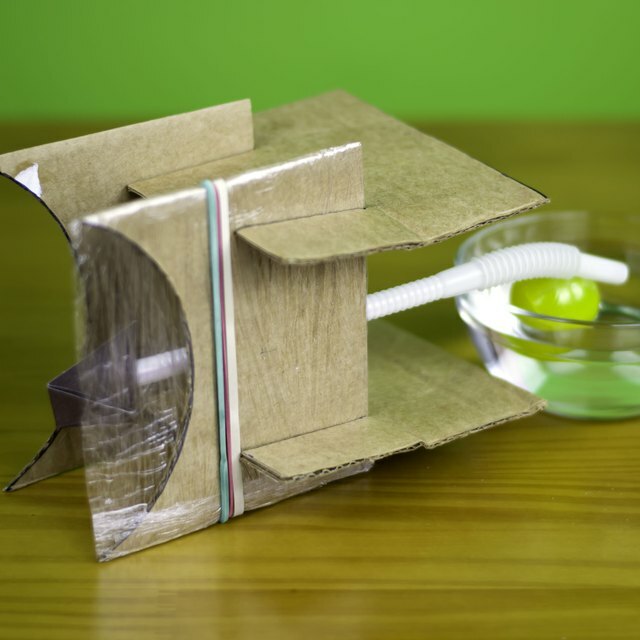 You can perfectly illustrate the properties of sound by creating a cardboard guitar. By plucking the strings, you will show how motion and vibration work together to produce sound waves. Using different sized strings, the cardboard guitar will also allow your school project to demonstrate another property of sound, known as pitch. Trace a circle in the center of the shoebox lid. Use the bottom of the coffee can as your stencil for a perfect circle. Carefully cut out the circle. Wrap all six rubber bands around the shoebox. Order them from thickest to thinnest. Position all strings so they extend over the hole in the lid. Cut six evenly spaced notches across one side of the pencil using an art knife. Each notch should be just wide enough to fit a rubber band. Make sure not to make the notches farther apart than the width of the hole in the box lid. Slide the pencil under the rubber bands on one end of the shoebox. Fit one rubber band into each notch. The pencil will elevate the strings and hold them in place, acting as a guitar bridge. Glue the ruler lengthwise on the back of the shoebox, the side without the lid. Allow the ruler to hang off the side of the shoebox, acting as the neck and fretboard of the guitar. Decorate using paints. Make it look like a classic guitar or choose your own creative theme. Do not cut the circle in the box lid too large or you will compromise the strength of the lid. 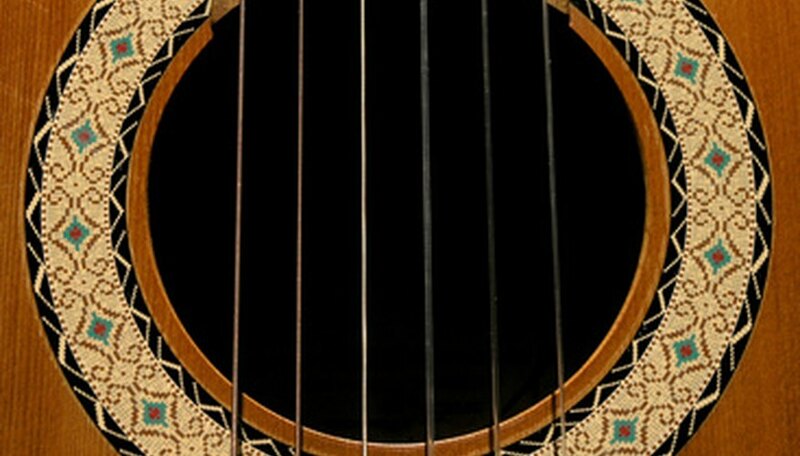 A weakened lid will not support the tension of the rubber bands, causing the guitar to collapse. Friedman, Frank. "How to Make a Cardboard Guitar for a School Project." Sciencing, https://sciencing.com/make-cardboard-guitar-school-project-6332191.html. 24 April 2017.